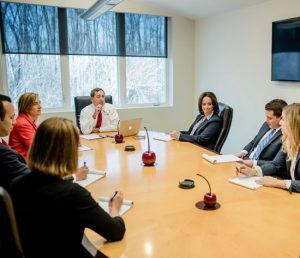 We work as a team at the Peskind Law Firm and are redefining how family law is approached. Our services go beyond litigation and representation to give you as many benefits as possible to help you get through these difficult times. The team here consists of more than just business divorce lawyers to ensure the process goes as smoothly as possible. If you have any questions about our family and divorce law services or if you would like to know more about how the Peskind Law Firm can help you, give us a call today at 630-444-0701. You can also fill out the contact form located on this page and one of our associates will get back to you as soon as possible. One of the many aspects we look into while you’re going through a divorce while owning a business or having a spouse with their own business is determining the income of you or your spouse. This is in part due to tax returns not always providing the information needed to make this determination. However, we often employ business evaluators to determine the value of the business and the income of you or your spouse. If both spouses are co-owners of a business, a judge typically will not allow both parties to proceed as co-owners unless there is an agreement to do so by both parties. If both spouses choose to leave the business to one or the other, determining the value of the business becomes important in regard to deciding if the spouse who is going to remain the owner wants to buy out the interests and ownership of their partner. If you need a business divorce lawyer or if you have any questions regarding our family law services, give us a call at 630-444-0701 today. You can also fill out the contact form on this page and we will respond shortly.